SAUBLE BEACH, Ontario — While running in the position he wanted to be in, Kevin Bridge saw his night end not how he would’ve envisioned. His night at Sauble Speedway started off on a good note as he finished second and first in his heat races, allowing to collect valuable points. Come feature time, he grabbed the lead and was set to cruise away from the field. However, everything came to a halt when the motor overheated, causing him to pull off the track before the checkered flag. Despite running into his third motor problem of the season, Bridge is not set to give up yet as he looks to get back to his familiar spot in feature victory lane. That said, he is looking for marketing partners to buy a new motor to finish out the season. Any interested parties are asked to contact him via his Facebook page or Twitter. 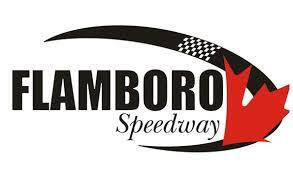 The Mini Stocks will have this weekend off at Sauble Speedway, with the next night of racing being the fourth round of the Great Lakes Concrete Series on Sunday, August 5.